Mobile broadband gives you access to the internet using 4G mobile network coverage on your laptop and tablet. Mobile broadband has been growing in popularity as another way to get your devices connected to the internet. Making use of the same 4G technology that connects your smartphone to the internet, it can give other devices like your laptop and tablet access to high-speed internet whilst you’re on the go. It can occasionally also be used as a replacement for home broadband, giving faster set-up and greater flexibility. In this article, we’ll tell you everything you need to know about mobile broadband in the UK. We’ll start by looking at how you can access mobile broadband and at the various connection methods available to you including tethering, USB dongles, portable wi-fi and using a SIM card slot. We’ll then discuss the different providers you can use in the UK, before comparing it to home broadband and looking at mobile broadband coverage. There are numerous different ways of accessing mobile broadband on your laptop, tablet or other devices. For most people, the easiest way of doing this will be to tether from your smartphone, providing your mobile network allows it and providing you have enough data on your price plan. This will allow you to get your other devices connected on-the-move, with it taking just a matter of seconds to set up a portable wi-fi hotspot. For a more long-term solution which affords you a bit of added flexibility (e.g. using mobile broadband without your smartphone or as a full-on replacement for home broadband), you can also consider having a dedicated mobile broadband connection. This will require you to have a USB dongle or portable wi-fi hotspot device. Alternatively, you could also use a 3G or 4G tablet with a built-in SIM card slot. For more information, read on for a full side-by-side comparison of the different ways of accessing mobile broadband. Tethering from your smartphone is the easiest way to get mobile broadband. 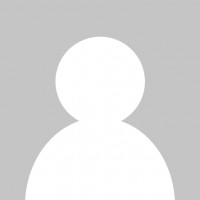 When choosing a method of accessing mobile broadband, the first thing to consider is whether you’d like to tether from a smartphone, or whether you’d like a fully untethered and independent mobile broadband connection. For occasional usage whilst you’re on-the-go, tethering is normally the fastest and simplest way to get your devices online. Providing your mobile network allows it, simply enable the “portable wi-fi hotspot” feature on your smartphone to share a 3G/4G internet connection with your other devices. This will use the regular data allowance from your mobile phone price plan, so there’s usually no additional charge providing you have enough data available. The downside of using tethering is your mobile broadband connection will be linked to a single device, your smartphone. Having an independent and dedicated separate mobile broadband connection can afford you greater flexibility, and the ability to access mobile broadband separately from your smartphone. Requires a separate price plan? No, simply share the data allowance from your existing mobile phone price plan. Yes, requires a separate mobile broadband price plan (Pay Monthly or Pay As You Go). Requires new hardware? No, use your existing smartphone as the portable wi-fi hotspot. Yes, unless your device already has built-in mobile connectivity. Typically, you’ll need to buy a mobile wi-fi hotspot (“MiFi”) or USB dongle. Needs mobile phone in proximity? Yes, your mobile phone needs to be in close proximity for other devices to use the mobile broadband connection. No, your devices are “untethered” from your smartphone and can thus be used totally independently. 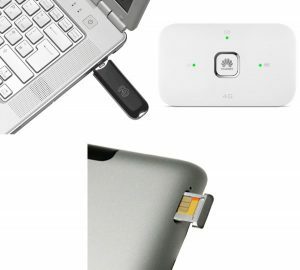 Dedicated mobile broadband: via USB dongle (top-left), portable wi-fi hotspot (top-right) or SIM card slot (bottom). By plugging in a USB dongle to your laptop. 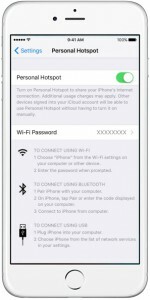 By using a portable wi-fi hotspot device (more commonly known as a “MiFi”). By using the built-in SIM card slot in a 4G-enabled device (typically, on a 4G tablet). The most appropriate method will depend on the type of device you want to use mobile broadband on, as well as the number of devices you want to use at one time. The cheapest way to get a single laptop connected to mobile broadband is using a USB dongle, which is available for around £20. 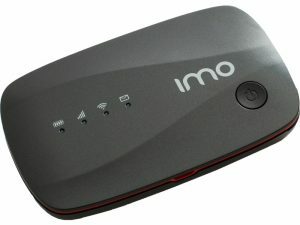 A portable wi-fi hotspot is a little more expensive, but allows you to connect multiple devices (often up to 10 devices or more at one time). Meanwhile, if you have a 4G-ready tablet, you may be able to use the built-in SIM card slot. Device Compatibility Laptops with a spare USB port for the dongle. Any device that supports wi-fi connectivity. Devices with a built-in SIM card slot (e.g. 4G tablets). Requires Charging? No, the USB dongle is powered by your laptop. Yes, the hotspot needs to be charged. No, your device just needs to be charged as normal. If you have a BT Mobile SIM card in your smartphone, you can tether through your mobile phone without any restrictions. 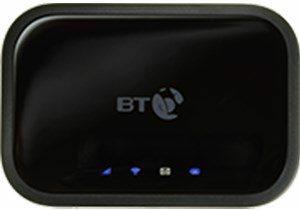 If you’d like a dedicated mobile broadband connection that’s separate from your smartphone, BT offers a 4G portable wi-fi hotspot (the BT “4G Mini-Hub”), a number of 4G-ready tablets and 4G data-only SIM cards. You’ll need to sign either a 12-month or 24-month contract to get mobile broadband on BT. 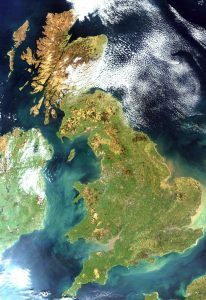 BT uses EE as its network coverage provider, so customers with BT Mobile Broadband will get the same coverage as customers on EE. As well as offering standalone mobile broadband packages, BT also has a “converged product” called BT Plus where you’ll get home broadband and mobile broadband combined together in one package. 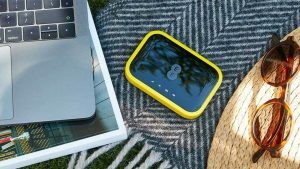 EE offers a selection of standalone mobile broadband price plans, including portable wi-fi hotspots, 4G-ready tablets and mobile broadband SIM cards. These are available on both a Pay Monthly and Pay As You Go basis. If you’d like to tether from your existing smartphone on EE, this is possible on all EE mobile phone price plans. O2 offers a range of mobile broadband packages on Pay Monthly and Pay As You Go. These include standalone USB dongles, pocket wi-fi hotspots and 4G-ready tablets. Devices are available to buy on either a 24 month or 36 month payment plan. You can see a full list of available mobile broadband price plans here. If you have an O2 price plan for your mobile phone, you can also tether from it without any restrictions. 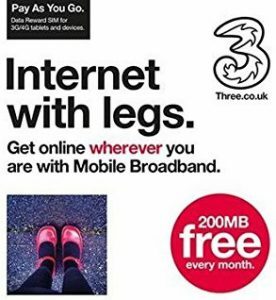 Three offers a wide variety of mobile broadband price plans, both on Pay Monthly and Pay As You Go. Notably, they have a number of Pay As You Go price plans that give you more flexibility on when and how to use your data (e.g. £60 for 24GB of data lasting for up to 24 months, or the Data Reward SIM card which includes 200MB of free data every month). 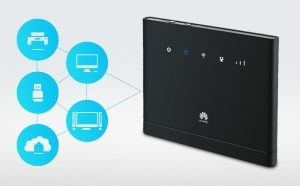 As well as the normal selection of portable MiFis and 4G-ready tablets, Three also has a HomeFi service which can act as a potential replacement for your home broadband connection. It starts from £23/month with 40GB of data and allows you to use mobile broadband on up to 32 devices at one time. Customers with a mobile phone price plan from Three can also tether using their smartphone allowance without any restrictions. If you have a Virgin Mobile SIM card in your mobile phone, you can tether and share your mobile broadband connection with other devices. If you’re looking for a dedicated mobile broadband connection, there’s a mobile wi-fi hotspot offering available on Virgin from £5/month. You’ll need to sign a Pay Monthly contract to get set up on mobile broadband (it’s currently £5 for 1GB data, £8 for 2GB data, £12 for 5GB data and £20 for 10GB data per month). Virgin uses EE as its network coverage provider, so customers on Virgin Mobile Broadband will get the same coverage as customers on EE. Vodafone offers a number of dedicated mobile broadband packages on a Pay Monthly contract. This includes Vodafone USB data dongles, a Mi-Fi for up to 10 devices, 4G-ready tablets and a number of data-only SIM cards. You can also tether from your mobile phone if you’re using a Vodafone price plan. Mobile broadband can sometimes be used as a substitute for fixed home broadband (broadband that’s delivered through a phone line or cable). It can be a good option for people who’ve recently moved home, who want the added flexibility of a mobile connection or who are unable to get fixed broadband where they live. The download speeds on a 4G connection are often comparable, or even better, than what is available on fixed home broadband. The downside however, is that mobile broadband plans tend to be more expensive, and have a monthly download limit (most fixed home broadband plans now offer unlimited data). This can be an issue if you watch lots of video online through services like BBC iPlayer, Netflix and YouTube (especially so if you’re watching in high-definition). Mobile broadband also offers slower response times (higher ping and latency) so it isn’t ideal for things like fast-paced online gaming. If you’d like to use mobile broadband as a replacement for fixed home broadband, we recommend investigating Three’s HomeFi plans. The HomeFi offers 4G mobile broadband at a download speed of up to 150Mbit/s, and supports up to 32 devices at a given time. It’s possible to get 40GB of data for £24/month (with no upfront cost on a 12-month contract, or £60 on a 1-month rolling contract). If you live in Central London or Swindon, you can also consider Relish which offers unlimited 4G mobile broadband from £22/month. Today, most mobile broadband connections use 4G technology, falling back to 3G where there’s no 4G coverage available. Whilst 4G technology can already match fibre broadband in terms of download speed, it tends to be more expensive and suffers from limited network capacity and slower response times. 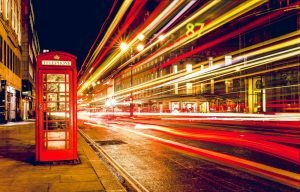 In 2019, the UK’s first 5G mobile networks are due to launch on a trial basis. One of the key new technologies this is likely to enable is 5G Fixed Wireless Access (or 5G FWA for short). 5G FWA will provide a major upgrade for mobile broadband, giving increased network capacity, higher download speeds (1Gbit/s and more) and lower response times. It is likely to make mobile broadband an even better alternative to fixed home broadband. 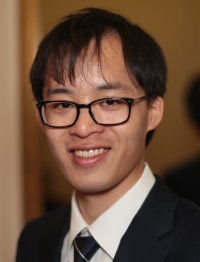 We may even see mobile broadband become the predominant connection method for many people at home. There are currently four mobile networks in the UK which build and maintain their a mobile broadband network. These four companies are EE, O2, Three and Vodafone. Each of them licenses spectrum from the Government and maintains their own network of 3G and 4G masts across the country. BT and Virgin offer their mobile broadband service using coverage from the EE network. For more information, see our in-depth guide to mobile coverage in the UK. For more information, please see the BT Mobile, EE, O2, Three, Virgin Mobile and Vodafone websites. We'd love to hear your thoughts and any questions you may have. So far, we've received 14 comments from readers. You can add your own comment here. I live on a hillside in rural Wales,1mile + from BT exchange so landline Broad Band was only 6-7mbps & fibre est.up to 17. I now use BT mobile 25-40mpbs and no problems , so landline cancelled. Landline can’t compete with 4g if you can get a good signal. We are lucky, two transmitters a few miles SW.
Three is also good 4g 25-30mbps. In London my BT is 24mbps inside, I assume slower because more users ? I always come to your website for info. on mobile and refer friends & family here. Agreed – I think 4G is a really good technology for covering “the last mile” and can definitely match or beat home broadband in many situations (the only disadvantage being that data packages tend to be limited in size, so making it quite restrictive if you want to consume lots of multimedia online). Is UK using GSM or CDMA for cell phone technology? what kind of phone I should bring with me to UK? For 2G coverage, either GSM900 or GSM1800. For 3G coverage, you’ll need WCDMA2100. For 4G coverage, you’ll need LTE bands 3, 7 or 20. Hi Ken … is there a difference between a data sim and regular voice sim … for example if I had a regular voice sim with 1gb data / month could I use it in a mifi device and use it as a wifi hotspot. Effectively using it only as a data sim. I use Vodafone pay as you go for occasional use, such as when I am on the road. Although it is £15/Gb, its big advantage for someone like me is that the money that one pumps the sim up with does not disappear at the end of the month. Provided a connection is made once in every six months (no surfing required, just plug it in and wait until it acquires an IP address), the credit does not run out. All the other providers' PAYG plans last only 30 days every time one pumps the card up. Hi Ken, i regularly read your posts with great interest. Could you please do a similar table which includes Pay As You Go tariffs ? Thanks for the suggestion! This is something we will look into! Hi Ken, Had been thinking about getting Orange mobile broadband because they had some nice big data allowances including an unlimited* (20GB) on the Panther £35. However, just been looking on their website and Panther seems to have completely vanished!? Has it really gone or do my eyes need testing again? Can only see Racoon and Dolphin on there. Admittedly I haven't been to the Orange site in quite some time so perhaps this is old news, but it's the first I've noticed this. Also Dolphin seems rather rubbish now, I seem to recall them having 3GB for £15. Now you only get 1GB anytime + 1GB quiet time for £15, and what happened to happy hour? I don't see that mentioned any more either. Seems O2 aren't the only ones being tight with data allowances. I don't have a landline so tend to rely heavily on mobile phone and mobile broadband for all my communications. Unfortunately the mobile networks have been cutting the mobile broadband tariffs with high usage allowances as they tend not to be so profitable. I'm sorry I can't give you a specific answer regarding Orange Panther but it is quite possible it has been withdrawn. It's worth looking at Three (see link in the article above) who are offering 15GB for £15.99 per month. This might be a good alternative to the Orange tariff and appears a bit cheaper too. hi i have a pay as you go SIM, will it work in my dongle provided i top up using an add-on ? Thanks !